There are four outstanding features to mention when talking about this new model of Honda: Stylish, powerful, compact, and light. Since 2017, Honda has made itself popular and flexible as a naked middleweight with some vital tweakage. However, until now, there have been tremendous ideas for improving the quality of the motorbike. 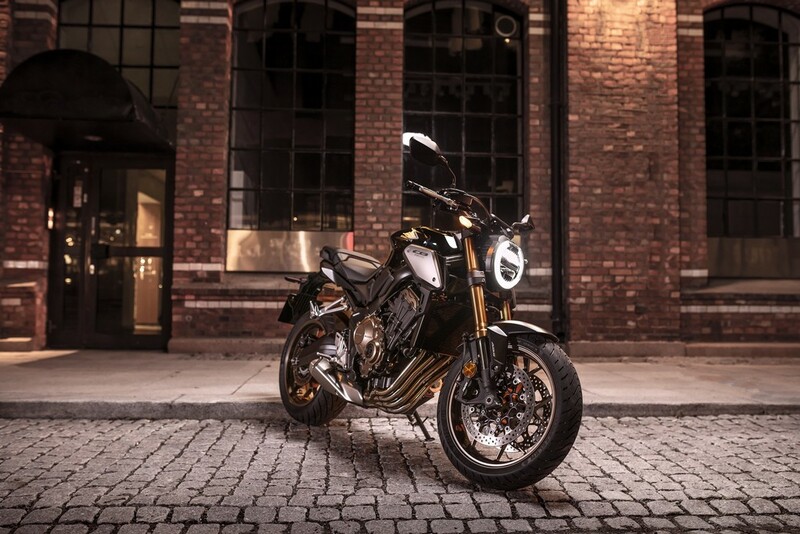 Last year, there are three versions of it having been released, including CB125R, CB1000R and CB300R. All of them was able to be produced thanks to a Neo Sports Cafe makeover by Honda. The new version was reduced in weight up to 6 kilograms. It is due to the changes in the tank, wheels and frame in the design. Plus, the power is boosted 5% thanks to the tweaks in fuelling, mechanical, and a 1,000 rpm redline. With the touch of NSC cues in design, the bike has been given the mixing looks of the machinery and some retro vibes. Moreover, we cannot miss to mention the blacked-out motor parts, which combine with engine covers and burnished bronze cam to increase the style of the motor. The cover of plastic is also reduced to minimum and create a harmonious look. Compared to the 650F, 650R is shorter, stockier, more compact and more muscular, although the wheelbase is a bit longer. The features are achieved because the ignition is housed in the top end of its tank, combining with a stubby tail. They help the LED headlight become closer to the rider. In fact, the lighting system consists of all LED and an LCD instrument panel in gear indicator and the shift-up. The tapered bars were moved forward and lower slightly, combined with back and up footpegs making a more aggressive riding position. It may feels a bit strange for riders who have been used to the old designs of the motor. But from another point of view, it adds a sportier look for the motorbike and make it more comfortable for people who love sporty motors. There are four available colors for riders to purchase, including blue, silver, red and black. It costs around 6,999 Euros for each.